 Success Stories | Sacred Grove: Intuitive animal communication & energy healing; Alexandria, VA.
Heather shares about my work with her and Finn; I have done intuitive animal communication sessions with them. Is animal communication real? Does it work? Good questions that should be asked and answered. Like any modality, perfect results are tough to guarantee. This is especially true because we’re interacting with both animal and human personalities and peculiarities. But most times, the results are heartening. There is no need to take my word for the heartwarming results – here are success stories and testimonials from my clients! I have been consulting Maribeth for two years. She is absolutely amazing! Maribeth has also become my teacher and friend. I treasure my relationship with her. She has helped in grief and happiness and with just everyday problems with my 3 dogs. Dogs experience the same grief we do but they see things differently. Maribeth was able to explain to them what was happening. I always tried and often failed to see things through my dogs’ perspective. Maribeth got us moving in the right direction. When we are on vacation our three dogs spend a lot of time running off leash. Chef, our Golden, wandered too far. Like a young child he didn’t even hear me call him because he was too busy. I tried to tell him I needed to be able to see him. Maribeth talked to him and she explained to me that I need to tell him that he needs to be able to see me. It worked. I was coming at the problem from the opposite direction. I started taking Maribeth’s UConnect classes. I have always wanted to communicate with my canine family but did not think it was possible. The big bonus is finding a great community of people who also want to communicate with their animals. Since Maribeth became my teacher my communication skills have seriously improved. Chef (he is only 3) told me that he does not always understand what I want from him. That was a huge breakthrough for me! All the hours were worth it just for that. I would never have learned that without Maribeth. My journey with Maribeth is just beginning and I can’t wait to learn more from her. We can all do this. It takes a lot of practice and we have to learn to clear our minds, get rid of all the chatter. Maribeth is very patient and explains things so they are much easier for me to understand. My German Shepherd/Husky mix, Clarisse and I recently moved to a new apartment. Since then, her night terrors had escalated, and she no longer enjoyed going outside. What prompted me to call Maribeth was when I came home to find the apartment torn apart. Clarisse had bloody paws trying to get out! Her night terrors had escalated to daytime anxieties. We did an Emotional Freedom Technique session – called EFT or tapping – for Clarisse’s fears and anxiety. Immediately after our EFT session, Clarisse became so joyous – there really is no other word to describe it. This has continued. She does the Husky roo-roo, which she had not done for a long time, really looks forward to her walks and prances around like a little pony for her treats and to go onto the balcony. She still has a little anxiety at night but overall, she just seems to be loving life, which makes my heart very happy. Clarisse seems to have rediscovered her joy. I am writing this to share an amazing experience I had. I really didn’t have any expectations when I booked my session with Maribeth. My dog Blade was having a medical problem and I was willing to try anything that might help him. I read she could do a body scan. What happened during my session was actually life changing for myself and Blade. The information about his health was extremely helpful. One of his problems was his liver. She told me she felt the liver was healing. The next time I took him to the vet, his liver was much better. She told me that one of his favorite things was walking by my side. At the time couldn’t relate to that because don’t walk him. I have a large fenced property and he gets a lot of exercise running and playing. The next morning I was walking from my kitchen to another room and realized that he was right by my side. He does this a lot! After my session there was a definite change in Blade. He was happier and a little more playful. Maribeth has a very special gift, and her willingness to share this is a blessing for anyone who turns to her for help. I don’t have adequate words to describe the gratitude I have for Maribeth Decker of Sacred Grove and her Postcards From Your Pet vacation check-in program. In fall 2018, I traveled to Europe and was away for a month. About ten days into my trip, I received a text from my petsitter that my cat, Princess Leia, was in a coma. I learned that it was unlikely that Leia would live. Imagine how crushing this news was. I felt bereft, knowing that my kitty might die while I was so far away. I reached out to Maribeth to ask her if she might let Leia know how beloved she was and that I wished I could be with her during this terrible experience. Maribeth, of course, immediately connected and communicated with Leia. The news wasn’t positive. Maribeth said that Leia felt exhausted and unsure if she could stay around. “Her spirit is strong, but her body is weakened.” Maribeth comforted Leia, reassuring her, and helping her understand what was happening. I didn’t want Leia to suffer—and my heart was broken that she was. That night, Leia turned a corner and continued to improve. Our reunion three weeks later was a happy one! I’m so grateful that we had Maribeth to bridge the communication gap and save Leia’s life. I’ll use Maribeth every time I travel. I was initially intimidated by the idea of sharing spiritual details in a group like the UConnect class. I was afraid I wouldn’t be as good as everybody else, but Maribeth made everybody comfortable with wherever they were. And it was fascinating to see how differently some of us received similar information. Not only do I feel like I understand my animals better, but I feel more grounded myself. I absolutely loved the UConnect class. Maribeth’s compassion and knowledge are a great combination for someone new to this like was. I enrolled because friends had told me wonderful things about Maribeth. I have a rescue dog that, almost two years after her adoption, is still fearful of my husband. I wanted to understand what was going on and help her tell her story. Since the class started, I have stronger relationships with both dogs. And Cammie is slowly becoming more trusting of my husband. I highly recommend this class for any animal lover who wants to further strengthen the bond with their animals. I can’t say enough about Maribeth. I’ve been using Maribeth for over four years now to help us more deeply connect with our cat Bunker. A couple of times it has been for health reasons. Once, in particular, Bunker wasn’t feeling well, and we asked Maribeth to check in with him. She picked up that there were some pancreas issues, a fact that was later validated with blood work. That was a big WOW! In addition, my husband and I have a vacation home and are gone on the weekends, usually leave Bunker behind. But a couple of longer-time opportunities have presented themselves and we asked Maribeth to connect with Bunker to see if he wanted to go. We learned we should listen to Maribeth. The first time Bunker said “yes” but we changed our minds and left him home and boy did he share attitude with the sitter! The next time we listened to Maribeth. Before connecting, she gently shared with us that he’d been so excited to go the time before and it wouldn’t be fair to get Bunker’s hopes up if we were going to change our minds again. So, we committed to taking him, if he wanted to travel with us, Maribeth connected, got the affirmative and then prepared Bunker by explaining exactly what would happen – long car ride and anti-nausea meds. She told Bunker to “enjoy the high!”. When we arrived at our vacation home, Bunker was like a kitten again, exploring nooks and crannies, meeting new people, and genuinely enjoying himself. Now, we take him whenever we can. Thank you, Maribeth! I always felt that I had a connection with my dog, Emma, but I wanted to know for sure – and fine tune my intuitive skills. I wasn’t very confident about my ability to connect telepathically – in any way, shape or form – until I took Maribeth Decker’s UConnect Class. Thanks to Maribeth’s teaching and guidance, I have learned to not only connect with Emma, but also with my two guinea pigs and other UConnect members’ dogs! Maribeth creates a sacred environment for us to share our vulnerabilities, stories, frustrations, and celebrations. I’m so glad that I registered for UConnect. Emma is too (she told me)! Whenever we left for a vacation our cats, Terra and Chi, have always been very stressed. I worried about them while we were gone. Our pet sitter was kind and conscientious, so my take on it was that the cats were experiencing separation anxiety and/or perhaps thought we wouldn’t return. They wouldn’t eat properly, they were frightened, they hid, etc. When we returned from long weekend trips, both had lost weight. The pet sitter always reported that they were hiding from her and didn’t want much, if any, interaction. The pictures she sent always showed them hiding. This time we were going away for a week so I was really worried. I emailed Maribeth for help and she responded right away. She explained that she would be regularly checking in and communicating with Terra and Chi while we were gone, as well sending emails to me regarding their “chats.” Each time the pet sitter reported in about the cats (with pictures ) she said they were much more relaxed and interactive and were actually eating well! I could see the difference when I looked at the photos. Chi was out and visiting with her and had his tail in the happy position (over his back). Terra was more relaxed as well. For once, I was actually able to relax and not worry while on vacation. After we returned, the pet sitter said this last pet sitting for Terra and Chi was the best one she had experienced. I couldn’t have been more pleased with Maribeth’s help! I had asked Maribeth why Noodle was not cuddly with me. She sensed that my other dogs (Peanut and Stephanie) were telling Noodle to stay away from me; I was all theirs. I noticed immediately that Peanut and Stephanie were much kinder to Noodle after Maribeth’s session with them. Noodle seems much more relaxed in their presence. I’m now reminding Stephanie and Peanut that their motto needs to be “love and respect” for all when dealing with Noodle. And Maribeth’s added healing work into her communications with Noodle has worked fabulously! I got the most amazing news from our vet this week about Noodle’s kidney. His kidneys have been showing signs of disease for over six months. We were concerned about the effect his pain medication might have on them. To our amazement, his blood work and urinalysis came back completely normal this week. The vet has no explanation for it—those were her exact words: no medical explanation for the sudden reversal. Thank you again for your help with my doggies. In a home with six cats, it’s easy for life to get chaotic or for someone to feel left out. We had a boys versus girls situation going on, as well as some bullying. Plus, I believed Loki didn’t like me, and I desperately wanted to connect with him. Maribeth connected with our menagerie, meeting each cat intuitively (it was SO cool as she described each cat’s personality to me). Maribeth asked the boys to be kind to Baby Girl, who is the old lady of the bunch, and be more empathetic to her. Loki didn’t realize how much I wanted his affection, so once Maribeth told him, his behavior changed. He sits on my lap and sleeps next to me. I couldn’t be more delighted! I have been taking your advice in regards to communicating with my cat Teeg II. I explained that if I let him outside, he has to stay on the porch. My friends and neighbors are surprised to see a cat minding his boundaries. He does not leave the porch no matter where I am around the house. Secondly, I spoke with him this morning and asked him if he had been my pet before and to send me a picture of who he was before. He sent me a clear picture of my cat that he was named after. Here’s his story! Last year I had the strangest feeling that there was a kitty looking to find me. I asked for help in finding him because I knew he was out there. I searched the local shelters on the net and saw Teeg II’s photo at a local shelter. He had similar markings and colors as his predecessor and his name was ROY!!!!!!!!!!!!! We have been inseparable ever since. Maribeth Decker was able to help 2 of my charges understand me better. Wrigley, my 4 year old 25 lb. dog is very smart but has a mind of her own. She fully understands the command “Come”, but chooses to obey only when she feels like. We live in a heavily wooded area and there are times wildlife could potentially harm her (mainly coyotes). Maribeth worked with Wrigley and gave her images of coyotes and explained to her that I am trying to protect her when I call her in and that she has to follow my command for her own safety. Maribeth gave me the word “Coyote” to use to remind Wrigley when it’s time to come in. It has been over 6 months now and whenever Wrigley is dawdling and I hear the coyotes, I say to her, “I’m going in now, I hope the coyotes don’t get you” and she trots right into the house. 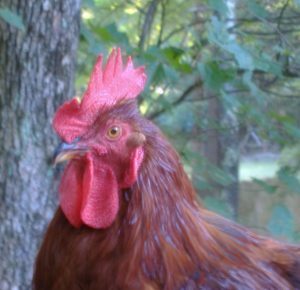 I also had a rooster Jack (now deceased) that would periodically bite me. Overall, he was a very good rooster and protected his girls, but the biting had to stop. I explained to Maribeth that he bites me because he sometimes doesn’t want to be picked up or he sees me as a threat when I would pick up one of the girls. Maribeth helped Jack understand that when I pick him or one of the girls up I mean them no harm and I am trying to help them – even if it is uncomfortable some times (administering meds etc). She told Jack to look into my heart and he could tell the “good” people from the “bad” people (not that there were any “bad” people in his life!). She told me to say to him “Look at mama’s heart”. I never had to say it and he never bit me again (that was about 6 months of time before he passed). I particularly wanted to wait and see if he behaved himself in the spring – when he usually became a little more testosterone-driven and a bit more aggressive. He was a very good boy right to the end. Maribeth does amazing work with animals and their caregivers. Animals react in ways we humans sometimes don’t understand, but Maribeth can help untangle the mystery and everyone gets heard and understood. Life has been much simpler and safer for all of us in our household since I had my session with Maribeth Decker. Thank you Maribeth. I discovered Maribeth Decker in the Zebra newspaper of Alexandria, Virginia. The timing of my discovery felt as a blessing. My older Welsh corgi Harry had recently been feeling ill having trouble with his food and vomiting. I had taken him to our usual veterinarian a few times but they seemed at a loss at diagnosing Harry’s problems. He would get better and then relapse. Maribeth has the unusual ability to feel animal’s thoughts, communicate to them messages from me, and ask them about their physical ailments.We scheduled a remote (by phone) reading for Harry, which also included my younger Welsh corgi, Grace Kelly. Maribeth first taught me how to meditate so I would be more connected with my own animals. I found this very relaxing and I now understand the true value of quiet meditation. We next went into the physical scan of Harry’s body. Maribeth immediately picked up on a twisted foot that Harry had injured on a sprint down our staircase a few days ago. What she told me next, revealed the true source of pain and discomfort. Harry had communicated about a very sore area in his mouth, far in the back on one side that is most likely an infected molar. Harry told Maribeth that “It hurts a lot.” We realized that Harry would only chew soft foods recently, so this makes sense. She said that Harry told her he has a low grade headache as well. Overall, she felt that Harry’s life force is strong and that he is proud to be the strong male dog that he is; he feels very protective of his pack. He feels well. Then Maribeth began her conversation with my younger female dog Grace. She came from a very large dog breeder home, with 10 other Corgis. I was concerned that she might miss the huge pack she was born into. I was delighted to hear that Grace is thrilled to be in our home where she receives large amounts of attention and a “human bond that she never knew would ever be available to her”. She is “delighted” to be a part of our family. Maribeth also explain to Grace that we are reducing her caloric intake to help her lose weight for her well being, not as a punishment. Maribeth then focused some very healing energy onto Harry. I noticed a distinct increased level of energy in Harry after the session. I am very grateful for Maribeth’s abilities, her compassion for both animals and their humans, and I feel that I now have a medical plan to pursue to get Harry well. I have an appointment with a new vet to have his teeth cleaned and examined, and any necessary extractions done. I was not aware of this issue and the old vet had not discovered it. I highly recommend Maribeth for any of your animals, to find out where they hurt, to let us know how they feel. This wonderful ability she has, allows us to have a window into our pets’ minds and bodies so that we can address their needs for a longer, healthier life. My dogs were very open to communicating with Maribeth and shared so many details. All our questions were answered. Maribeth is very personable and her love of animals shines through her interaction. What a unique and intriguing experience this reading was! Thank you Maribeth Decker for all you do! Instead, we focused on healing his sore. First, Maribeth did an intuitive body scan. She felt there was something stuck under his skin surrounded by scar tissue – she heard the word, “encapsulated.” Maribeth used energy healing to help release the object and draw it to the surface. We completed our remote sessions in November. The sore was still active, although not as bad as before. Maribeth continued to send Samson remote Scalar Wave energy healing. In December, it looked as if we were going to have to take Samson back to the vet. The sore was open and he was licking it, so I thought I’d make an appointment at the end of the year for another shot of the antibiotic. A few days later I checked it again, and the sore was gone. I could barely tell where it had been. He began to act peppier and more playful. Now the hair has almost grown back and I can’t even feel the wound. He’s playing with his toys like a kitten and has resumed his role as alpha cat. I’d about given up, it had been so long! So you know, whatever healing you have been performing for Rudy has been a huge success!! He is eating, taking his medication, going for walks, and sleeping well. He doesn’t seem to be in any pain. I (and my doctors) are blown away by this little dude, and his ability to persevere through his health issues. He will be 17 in February – I am working through my own issues of anxiety related to anticipating the worst. We are enjoying every day. When I wake up in the morning each day and I see his tail wagging so fast that it is a blur, I know we might just have one more day. I love him so much. A year after having to move my feline family of four into a smaller house due to the breakup of my relationship, Clyde was peeing on my new bed and on other blankets especially when I had to leave town. Sometimes if I didn’t get up and feed him, he would pee next to me while I was still in the bed. When the vet confirmed that he did not have health issues, I reached out to Maribeth hoping to find a solution. I filled out the information form detailing all of the stress of the past year and the way the cats were interacting. I sent Maribeth recent photos and then she conducted a phone session. It was fascinating and eventful. Clyde was very “talkative” through his energy self. The first thing he did was “fly” up to Maribeth’s consciousness like an erratic, released balloon with his mouth wide open to show her what had happened. He recently had a fang removed – the ONLY thing I had forgotten to tell her! Clyde had more emotion than he could handle, had lost part of his family connection and was unhappy about the loss of his tooth. Maribeth explained that his fang had been broken and was removed so it did not become painful and that it was not likely to happen again. Then, she talked to him about the peeing outside the litter box. He initially acted like a kid (he is 4) and said he didn’t know what she was talking about; however, he owned up pretty quickly. He was literally pissed off about all of the changes and wondered if my ex-partner was coming back. Maribeth told him that I had to move out of that negative environment but he could keep his love connection to her. Maribeth cleared his chakras and helped Clyde emotionally reconnect to me and to his new home. We ended the session with Clyde saying that he wanted to be a part of my family and Maribeth conducting some healing work with me to reduce my stress and raise my energy. About a week after the session when I was late in feeding the cats, Clyde peed on the bed right in front of me. I fussed at him and told him that this was the behavior we discussed and it had to stop for us to live as a happy family. That incident seems to have been a test for him because he has not done it since. I hold up my part of the bargain though, by feeding him on time and reduce temptation by shutting my bedroom door when I’m gone. I am so grateful for Maribeth’s work with Clyde. After a year of extreme changes and stress, I could no longer handle his behavior. She helped bring peace to my home and strengthened the bonds with my feline family. I hired Maribeth to help with undesirable behaviors my rescue cat, Princess Leia exhibited when I traveled. They were bad enough that I would hide my packing from Princess Leia. And when I got back, it was like I was being punished. Learn more about my experience by watching the video at the top of this page. 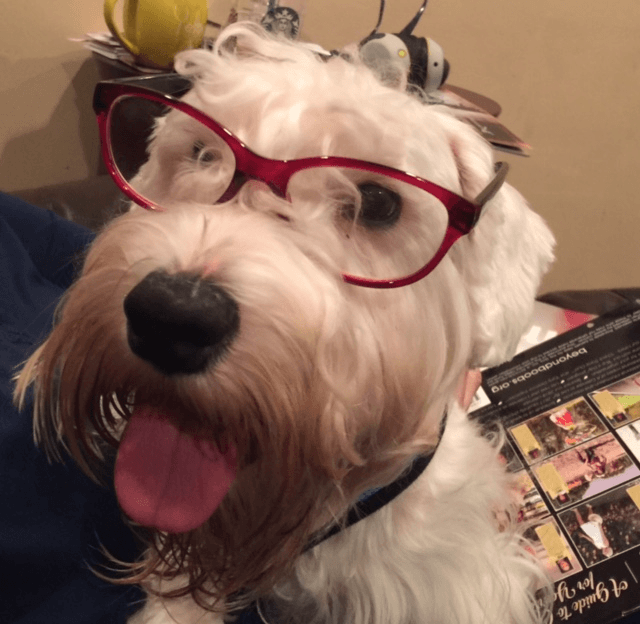 After seeing my dog Grover struggle with unpredictable aggressive behavior – lunging at trucks in the road, growling/barking at other dogs – I knew that we needed some extra help. We had adopted Grover 3 years ago. He had bad past experiences that were affecting his behavior. I came to Maribeth with the goal of reshaping some of his behaviors but left with much more than that. Grover has greatly improved his interactions with other dogs and other triggers that used to scare him such as loud trucks. What was much more valuable was the context of the relationship I have with Grover. He is no longer a pet that I need to control – he is an individual who is capable of communicating emotions and thoughts. Maribeth provided the tools to facilitate this realization and gave me the confidence to continue to improve my communication and his behavior moving forward. The time and the investment with Maribeth has been more beneficial than I could have imagined. I would highly recommend the journey for anyone who wants help understanding their furry friends so that everyone can move forward in a positive way. Thank you Maribeth!!!!! A dear friend referred me to Maribeth after the passing of my beloved cat, Britney. I had felt an inconsolable grief and a steady stream of tears over those next couple of weeks. It was a grief unlike any I have ever known. I gained such deep insights as I reconnected with Britney during my phone call with Maribeth. The session was tremendously healing and comforting. Since our call, a smile comes across my face every time I think of Britney. I feel such peace and joy and gratitude instead of deep sorrow and loss. I’m truly grateful for the special work that comes through Maribeth. What a blessing to have been referred to her by my dear friend. My dog Sakari had severe separation anxiety. When my trainer suggested an animal communicator, I was skeptical. We had been training for 6 months and still could only leave her alone for less than 20 minutes before she started destroying the house and injuring herself. It was a life or death situation. What did I have to lose in working with Maribeth? We focused on both Sakari and Rudy, my 16-year-old rat terrier. Rudy had been diagnosed with cancer 6 months earlier, and was given 6 months to live. Imagine how I felt when Maribeth said Rudy had a very strong life energy; he wasn’t ready to go. Part of me was happy and part of me thought she was crazy. Fast forward 5 more months – Rudy is still with me, feisty and happy and outliving every doctor’s prediction. I crated Sakari for her safety. Both a certified behaviorist and my trainer recommended this. Maribeth didn’t think Sakari could handle confinement long-term; Sakari wanted more space. I gave her access to a room upstairs, where she could look out a window. She loved it. Maribeth asked if I had any safety issues that might impact Sakari. I brushed it off with a defiant “No, everything is fine!” But one night I experienced anxiety and couldn’t find Sakari. I found her with her head under the bed. I realized she picked up my anxiety! I then worked hard to manage my own energy. These anxiety-reducing practices were key to her healing. Plus, Maribeth shared with Sakari that I was never going to leave her and she is safe with me. Within weeks, Sakari improved and within a few months I could leave her home alone while I went to work. Other people told me that separation anxiety was incurable, but we had overcome it! Thanks so very much for your lovely gift to me this week – the session with my dog Sophie, who had just passed on – the support, the empathy, the visualization, the healing… and love. Sad as I am, I have a new sense of Almost-Peace, and I have you to thank! I attended a seminar that Maribeth put on in Colorado in March. I wasn’t sure what to expect as I’ve never attended an animal communication event before but I was curious and open minded about it. I was very pleased. Not only is Maribeth one of the nicest and most down to earth people I’ve met but she also explained animal communication in a very relatable way. I would happily attend another seminar by Maribeth and will refer clients to her in the future. As a dog trainer specializing in “difficult dogs,” I often need a little extra insight into what is going on with the dog and his or her family. I can refer the dog’s family to Maribeth for a deeper soulful connection. Maribeth has helped my clients to deal with a dog’s separation anxiety. She has helped a rescue dog express his feeling that lead to his aggression. She has helped a dog understand his grief over the sudden passing of his human. As a dog trainer, I have solutions to behavior problems, but I don’t always have the helpful soul solutions for the families. Maribeth is a joy to work with. She is fun to talk with and she does all of what she does with all her heart! 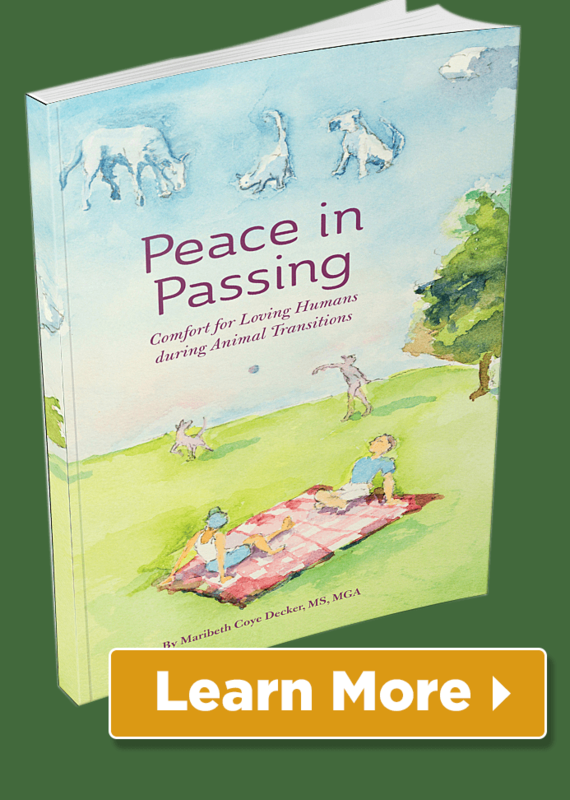 We decided to contact Maribeth after we had to put our dog down and needed some peace with all of it – to try and make sense of what happened. Her website just popped up when I was looking for an animal shelter to donate our dog’s food & treats. I believe it was divine intervention and our dog guiding me to Maribeth. So, I checked it out sounded like something that would help me. What Maribeth did that was helpful, useful was that she was very understanding and compassionate. We meditated and the creative visualization to help us connect with our dog. The techniques were very calming and relaxing. We like working with Maribeth because she was very down to earth, easy to talk with. She made us feel at ease about all of this. The outcome is that we are more at peace with why this all happened to us and that there was a reason. She helped us to see that. There was forgiveness between us and our dog. Maribeth gave us that closure we needed. She also helped us to know how our cat was feeling and going forward how our cat feels about getting another dog. We will never forget her. Thank you. Working with Maribeth helped me to feel more connected to my dog Luke before his passing. It was so emotionally challenging watching him decline and not knowing how he was feeling or what he needed. I felt more prepared when it came time for him to leave us. Maribeth is so loving and caring. She cares so deeply for animals and it was a great comfort to have her help us during this time. I would highly recommend her to anyone who would like to feel more connected to their pet. Highly recommend Maribeth Decker for her animal communication skills. She has helped my dog B with some of his anxiety and his aggressive tendencies. It was clearly noticeable after she had communicated with him. He was calmer and when we did have some flare ups I would use the verbiage and techniques that Maribeth used and shared with us and it was also helpful. Maribeth is a very calming person to be around and some how that calmness can transfer to those of us lucky enough to work with her and our animals. I have also taken one of her classes and found it very interesting and helpful for meditations. Maribeth helped me reach out to Cynder. She is a 12-year-old rescue with some aggression issues toward other dogs and some people. We were so worried that these issues would escalate and that she would bite someone. We worked with a trainer in the past and these issues were still manifesting. In working with Maribeth, the human aggression and fence aggression have both improved immensely. She is a happy, healthy dog that has adjusted to our home and needs. She is less aggressive at the fence and much less reactive to people. We are very pleased with Cynder’s progress and all of the help that Maribeth provided. Cynder has bonded with me even more. I really appreciate Maribeth’s help, and am so grateful we were able to communicate with Cynder and keep her happy and safe. “As a work from home mompreneur, most days I work with my dog Posey at my feet. Posey is a lab mix with a lot of energy and prefers to be close to us at all times. So when I went away for a business conference this summer, her world was rocked. Even though my husband came home every few hours to check on her, let her out and play with her, we knew she was out of sorts. On day two of my conference I received a text from my husband (who rarely if ever texts me during the work day). Knowing he would never interrupt me unless it was really important, I looked at his message and discovered that Posey had run away. Turns out, she’d already been missing for two hours when he decided to text me. Frantic and visibly upset, the woman sitting next to me offered to go get help. She said there was an Animal Communicator in the room who just might be able to help. Not sure I even believed in animal communication but wanting to get Posey home safe and sound, I was willing to try anything. Before I knew it Maribeth was sitting with me. A soft-spoken and lovely woman who immediately made me feel at ease. I began telling her what happened. Talking about Posey. Telling her the details of what I knew my husband told me about her being gone, all the while still talking via text to my husband who was searching for her without any luck. As we were talking, Maribeth began to tell me she was communicating with Posey. She was telling her what we were saying and how much we wanted her to come home. We continued that way for a few minutes and then suddenly my husband texted me, he found her. He had her in his arms and was bringing her home. Until working with Maribeth I had no idea this work even existed. Now I’m amazed at how powerful it is. A year ago our dog Tilly died unexpectedly and I only wish I’d known Maribeth so I would have been able to communicate with her before she’d passed. I met Maribeth the day we had to put our puppy down because her cancer had overtaken her. Three months later I still miss our puppy and am reminded of her sweetness. I was introduced to Maribeth, where I was attending a conference, when I fell apart at the thought of losing our little girl. Without hesitation, Maribeth came right up to me, was there for me in my pain and sadness, and held my hand until I could compose myself. It was a day I will never forget. Thank you Maribeth for being there for me. The first visit to the surgeon’s office, I could hardly drag Sadie into the building. She was really nervous and was very anxious when the doctor was examining her. Sadie was about to have knee surgery and I wanted her to know this was going to take time to recover but that this would allow her to run and play with her friends, something she truly enjoys. 8 weeks is a long time to not run, and 2 weeks of doing nothing when she was used to running twice a day was going to be a huge challenge. I asked Maribeth to help me communicate with Sadie about what she was going to experience. When I took Sadie to the vet the day of her surgery, it was clear our session with Maribeth had helped both of us. Sadie did not hesitate to go into the building at all this time. She did not hesitate to go with the staff, when it was time for us to part. The next 8 weeks went as best as could be expected. Sadie did exactly what she needed to do in her physical therapy and has made a full recovery. Her surgeon, physical therapist, Sadie, and I are verypleased with how everything worked out. We are back at the dog park playing with friends, running, jumping and living life joyfully. A friend introduced me to Maribeth after Sophie my dear friend, companion, and teacher passed. Anyone who met Sophie knew she was special and I was so lucky to have her in my life. I did not tell Maribeth anything about her, just sent a photo before our phone call. We were late in connecting – not unusual for me, but Sophie is the best when it comes to keeping time. I would tell her how long I would be gone and if I was late, she would start pacing at the time I told her I would return (that is what my friends told me who she stayed with). So it was clear to me that we were connecting when Maribeth said Sophie was pointing out that we were late in staring our call. I had to laugh as this was totally Sophie. Some of the things Maribeth said I had not thought about until she mentioned them and it really helped me see things I had not seen before. How lucky to feel such a connection as I do with Sophie. I am grateful for the call and experience we shared. From Mary, Callie’s Guardian: My 20 year old Quarter Horse Mare, named Callie was a starvation/rescue case. Ever since I’ve had her, she has had episodes which look like seizures but it has been about 3-4 a year. Recently, she started having the seizures more regularly. Sometimes, they’d last as long as 3 minutes. She had two in one week. Shortly after that, we had Maribeth come out to do healing work on Callie. Maribeth had never worked on a horse but she soon had Callie so relaxed Maribeth was worried she might fall over! When she did her healing work on Callie, I felt it as well. Maribeth said that was because Callie and I are connected. Since her healing work, Callie has only had one seizure. She’s since been diagnosed with epilepsy which is extremely rare in horses. I think that Maribeth’s work has made a difference in her seizures because they aren’t happening with the frequency that they were before she did her healing work and she’s only had one seizure since. I have used Maribeth’s animal communication services to contact my recently departed Sheltie. I know other friends who had used her and they raved about her abilities, but I have to admit that I remained skeptical of whether this was even possible. I am glad I was proven wrong. Maribeth was able to communicate with her and with my Sheltie who is still with us. Even though she had never met my dog, her communication reflected my dog’s personality exactly. She provided great insight and the love we had for our dog and she for us. Maribeth has my strongest recommendation whether you are seeking her out for animal communication or therapeutic massage. I know you won’t be disappointed. Maribeth is the real deal. Our dog has periodic episodes of seizures that, once started, can ramp up in frequency and severity, and can last for months before calming down into intermission. He had an unusually intense period with a couple of episodes that we weren’t sure he was going to come out of without lasting damage, or at all. We knew there had to be something more driving the seizures. Maribeth was able to facilitate breaking the cycle. Both the immediate intense episodes, and the overall pattern. After a few echoes, he’s been seizure free for 8 months. Thanks Maribeth! Maribeth, I want to thank you for your efforts with our dog Brennan. She was adopted from Pet Rescue, and had some rather significant anxiety issue relating to men. That anxiety has been straining my relationship with her for months. After your connection with her, I noticed a significant change in her behavior and confidence around me. I want to thank you for your time and efforts with her. I hope many other pet owners have an opportunity to work with you. Thanks so much, Richard. I had to seek out Maribeth for some healing a few weeks ago. When she told me she was practicing healing on animals and individuals, I was a bit skeptical, but to hear her talk about it seems the most natural thing in the world. Recently, I had a very sharp pain in my back that would come and go through the day and by the second day I was beginning to think I should call a doctor. But I remembered Maribeth, and called her for help, asking her to send some healing thoughts my way and the location on my back. The next morning – no pain! I was so grateful for the relief. Thanks MB! 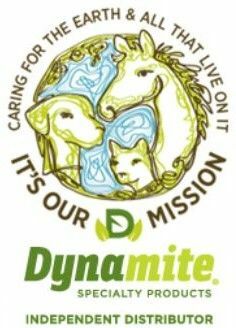 Yes, I want to communcate with my animal!